For many drivers, Waze is the ultimate navigation app. It's enormous crowd sourced data allow it to tell you where obstructions are, how fast traffic is moving, where the police are, and of course give directions. Some people would argue that it does a better of job of notifying drivers of alternate routes than even Google Maps. 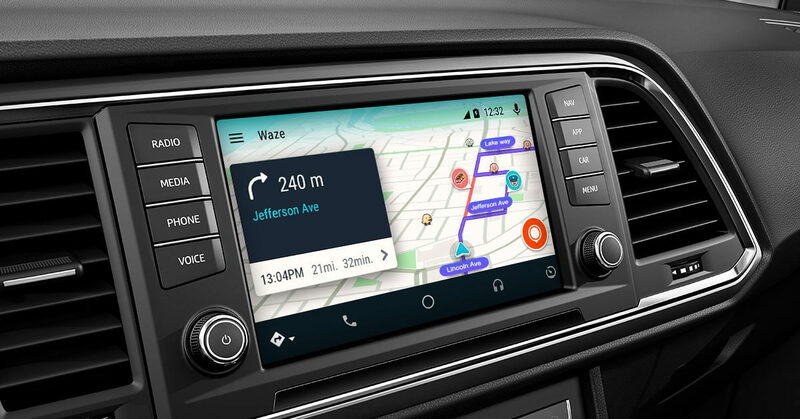 Ever since Google released Android Auto in 2015, many Waze fans have clamored to bring Waze functionality to Android Auto. Interested users got a chance to sign up for the beta this past April with actual beta testing starting in June. Finally, Waze on Android Auto is available for all users to download right now in the Google Play Store. That's not to say that everything you can do on the phone app will work in Android Auto. According to Jens Baron, a product developer for Waze, they teamed up with the Android Auto UX group to ensure that any driver distractions would be mitigated. The UI still looks like Waze but more streamlined to ensure maximum focus on the road and less time looking at the screen. Most of the major features are available. There's a button on the lower right to report traffic conditions, police, a crash, hazards, or any problems with the app itself. Some features like "map chat" are obviously still phone only but Baron says that other highly requested features such as speed limit indicators are coming in a future update. Dieter Bohn with The Verge tested out the Waze for Android Auto beta in a Chevy Cruze. According to him, the major reporting features of the app worked flawlessly and the interface made it easy to report things. However, Waze seemed to be "more finicky on poor data connections, and voice commands weren’t as consistent." Fortunately, Baron said those issues should be ironed out for the final release. Waze has no plans to bring its app to Apple CarPlay which is a shame because there are plenty of iPhone users (like myself) who prefer Google Maps and Waze over Apple Maps. Regardless, it's good to see Android users have another choice when it comes to in car navigation options.